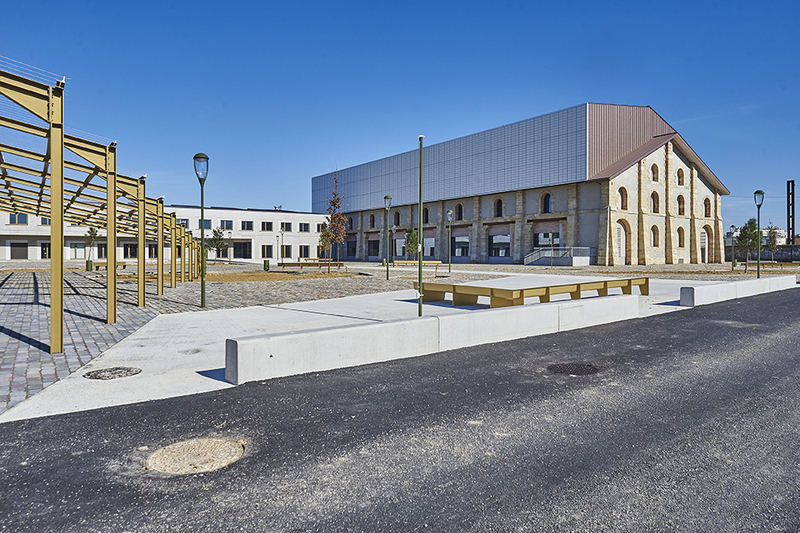 The Halles aux Farines, situated on the right bank of the Garonne, was built along with the construction of the first railway lines and is centrally situated amidst a network of tracks. 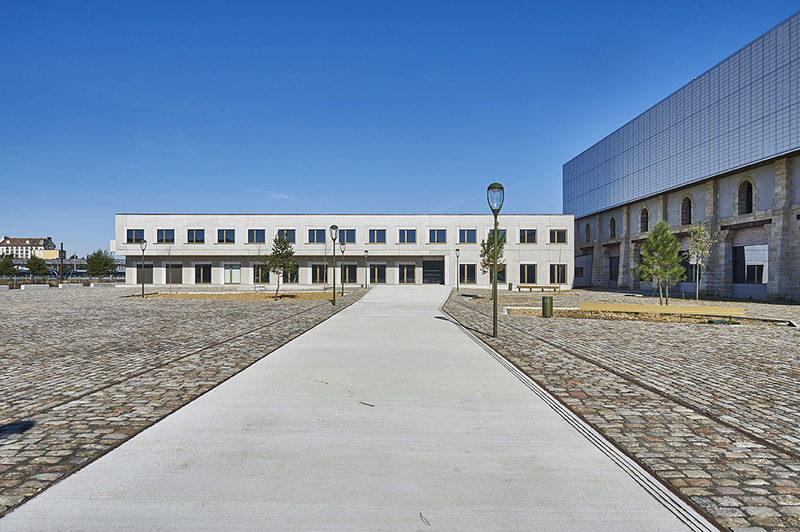 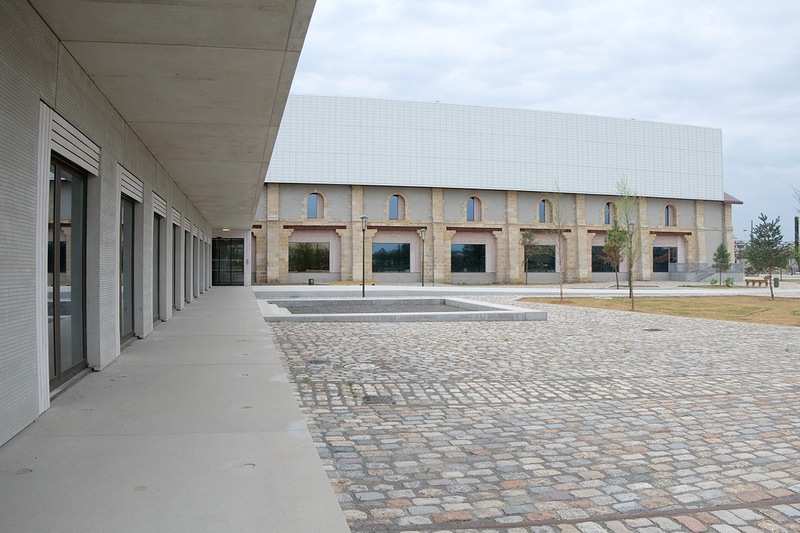 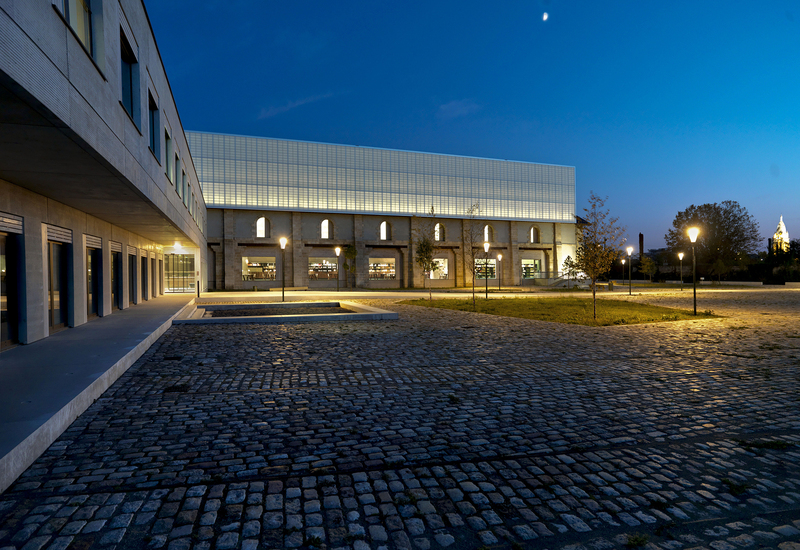 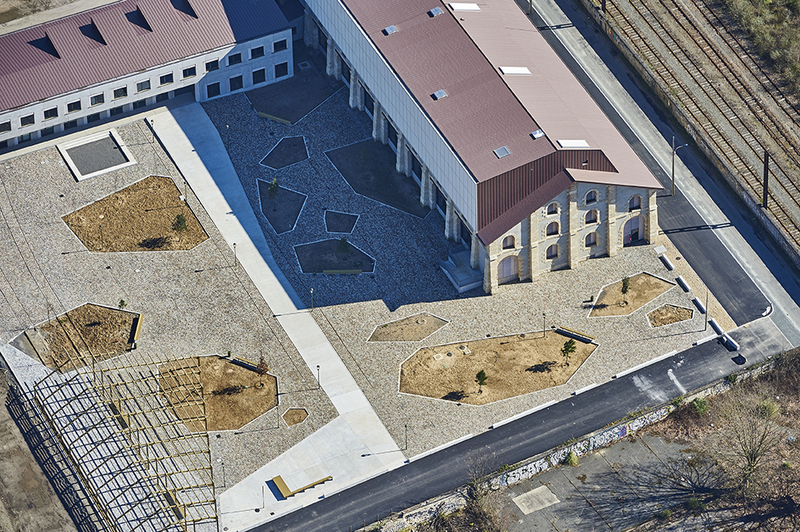 The former warehouse has been transformed into the municipal archives of Bordeaux, and forms the first link with the future eco-district of Bastide-Niel. 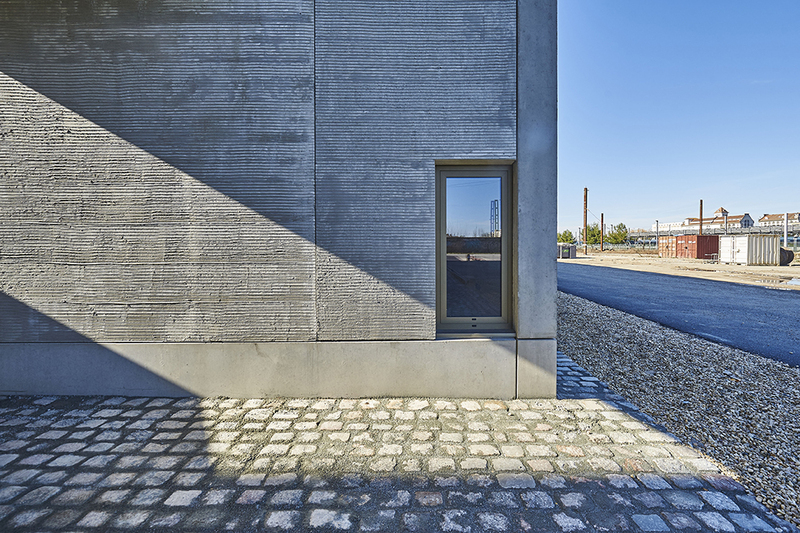 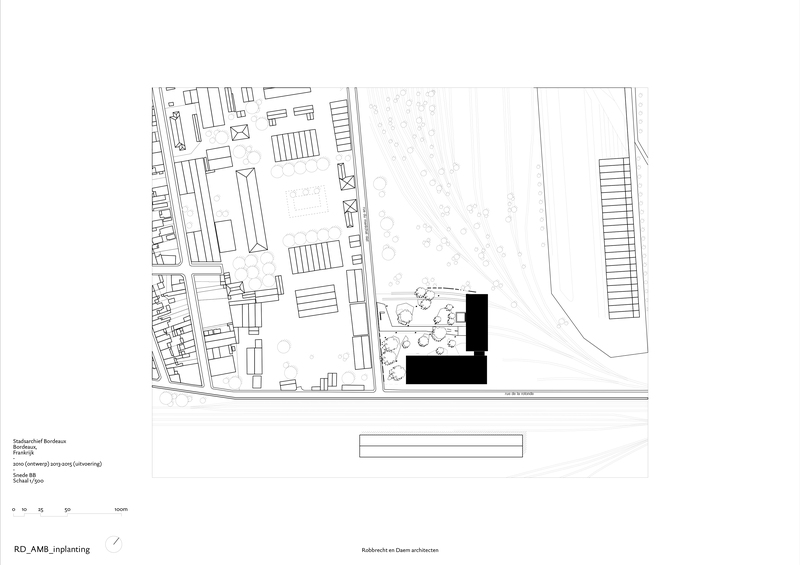 The industrial history of the site acquires a new interpretation: the storerooms, where the archive boxes are housed, are stacked in the exact location where goods were previously stacked. 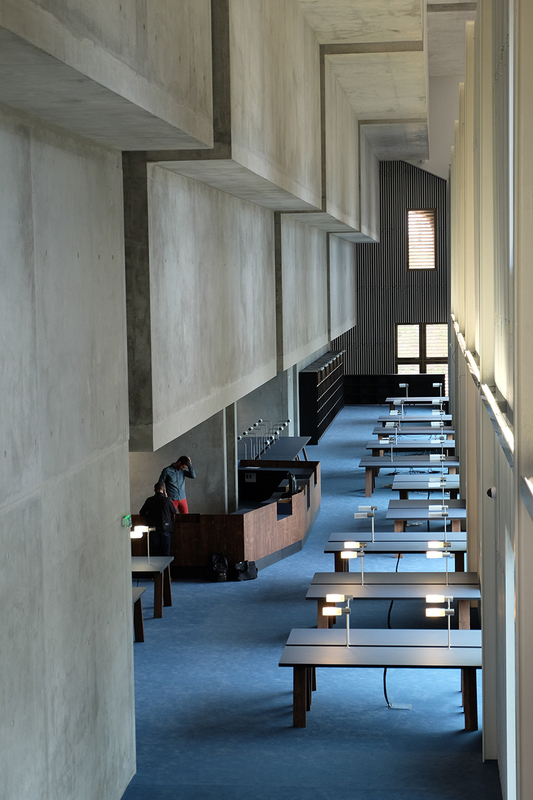 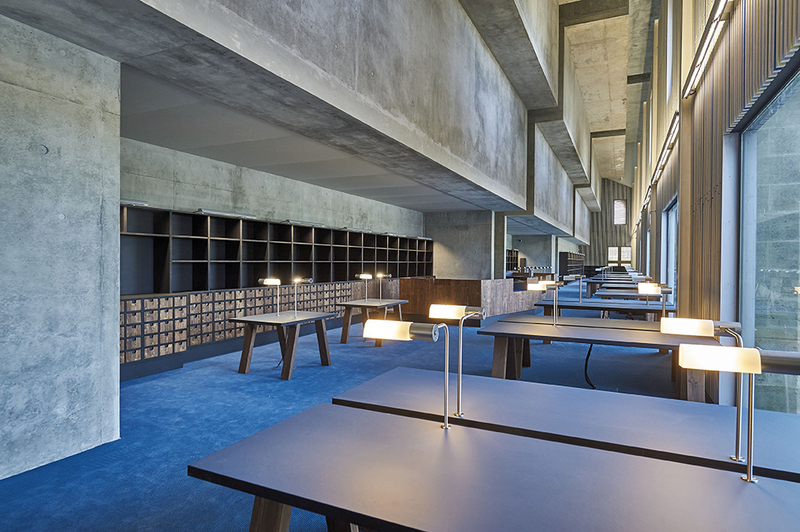 Each concrete box slides into cantilever above the reading room, which is located on the north side of the building, making the presence of the documents palpable. 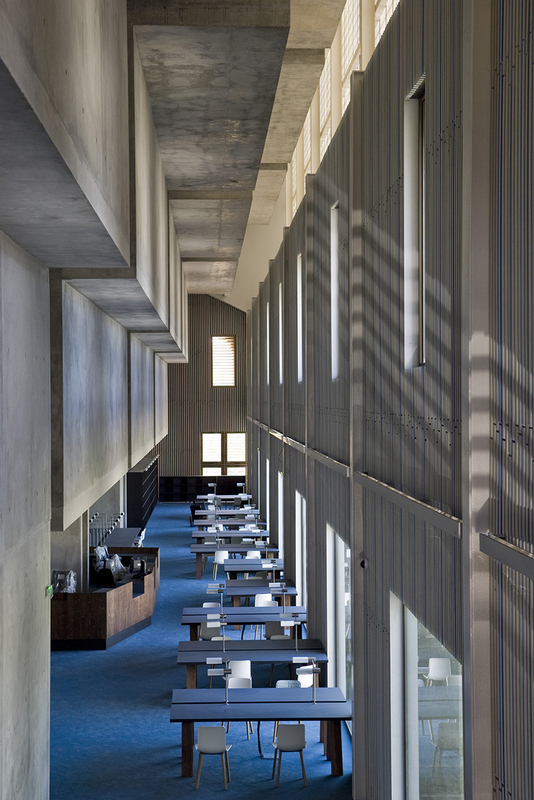 On the south side, the stepped form of the storage boxes supports the internal circulation of staff. 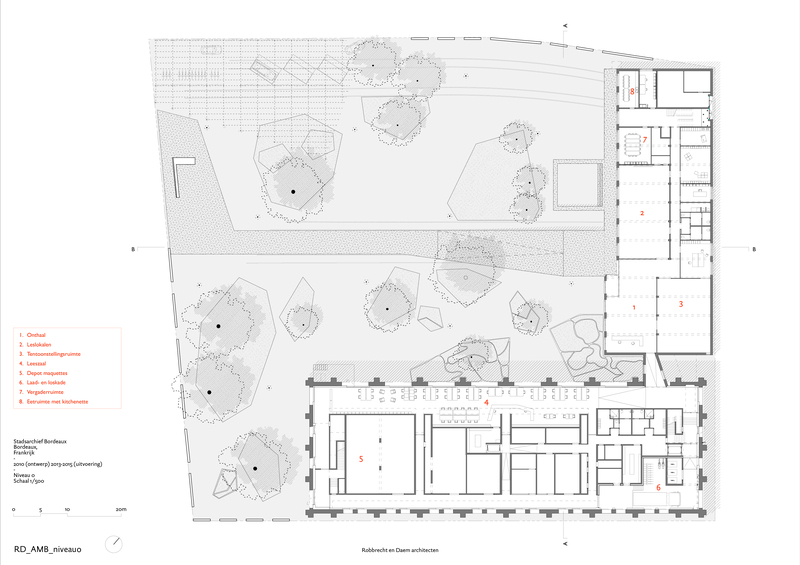 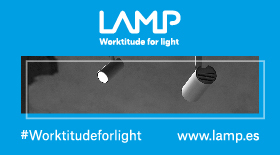 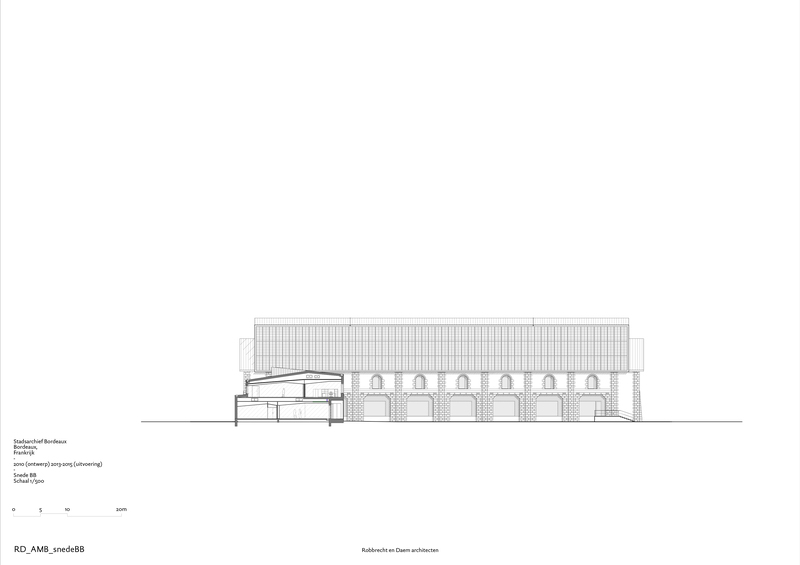 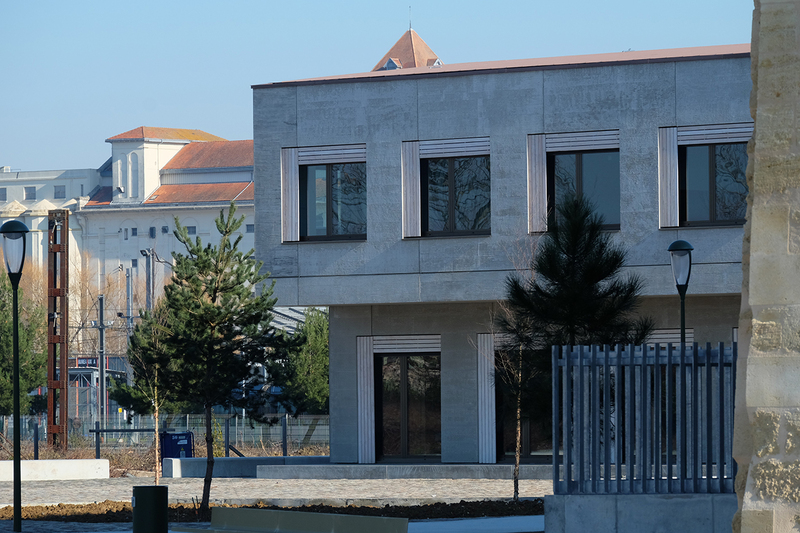 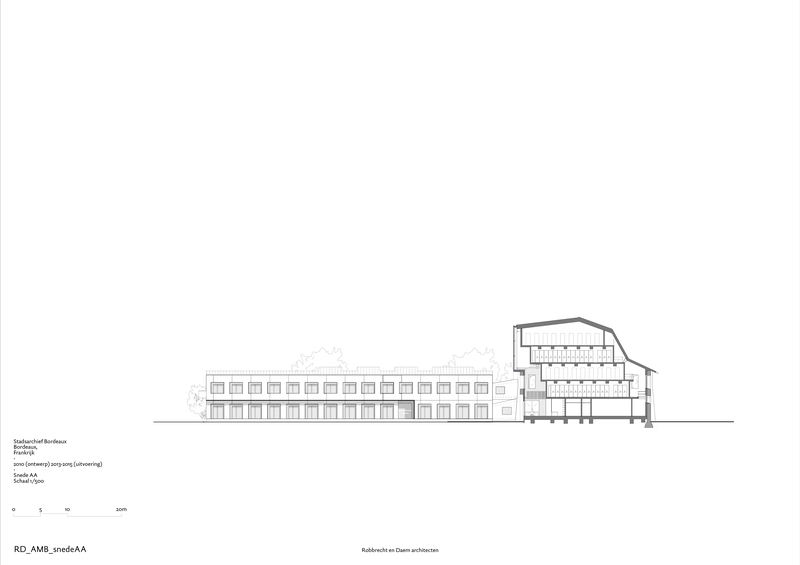 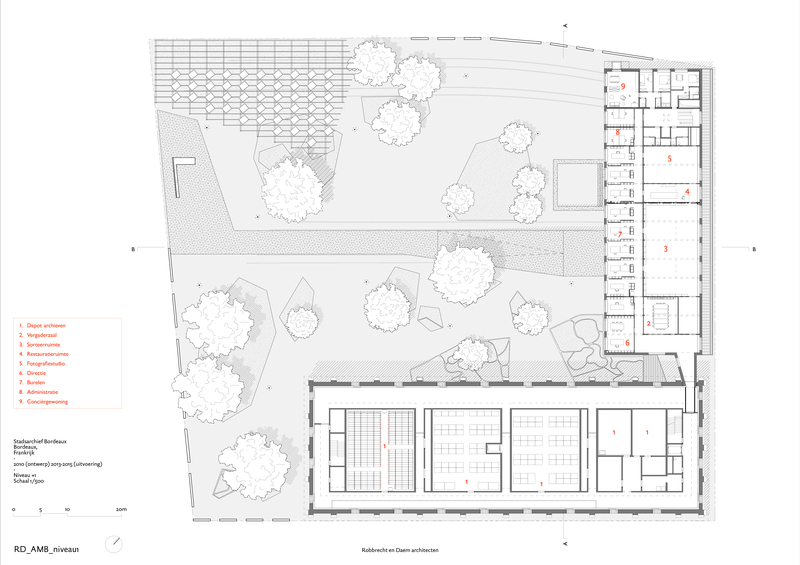 A new perpendicular volume is created for the associated functions: reception, exhibition space, educational workshops and auditorium on the ground floor, offices and restaurant on the first floor. 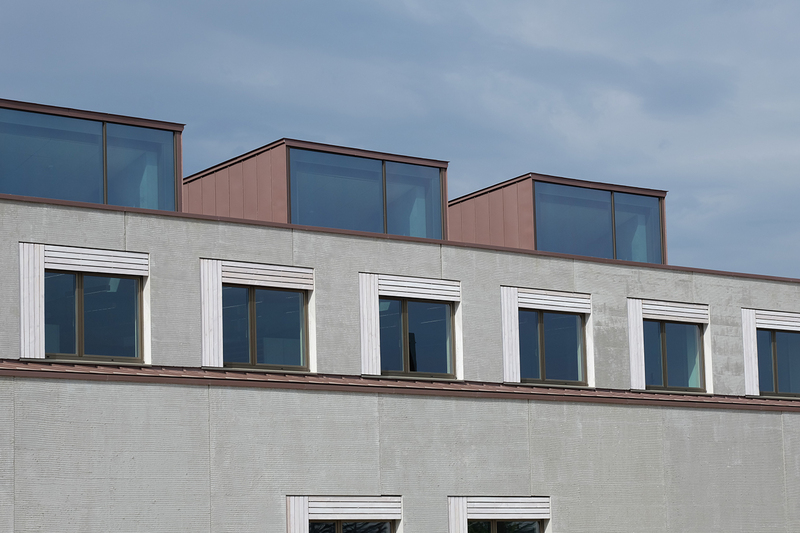 The reading room and the offices have a view onto a landscaped forecourt, which is accessible to everyone.